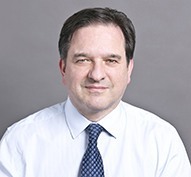 ​Nicholas Aleksander is an English qualified partner in the London office of Gibson, Dunn & Crutcher and a member of the firm’s Tax and Executive Compensation and Employee Benefits Practice Groups. Mr. Aleksander has advised on the taxation of business affairs for nearly 30 years. He develops imaginative solutions to meet the commercial objectives of clients’ tax needs effectively. He has extensive experience in advising in relation to the taxation and structuring of complex international structures and cross-border transactions. He has particular experience in tax efficient remuneration and incentive arrangements. He liaises closely with colleagues in other practice groups and works in cross-disciplinary teams to ensure that legal advice is practical and timely. Mr. Aleksander joined Gibson Dunn in 2001 from a leading London law firm. Mr. Aleksander is Honorary Treasurer of Justice (the British section of the International Commission of Jurists). He also writes and lectures on taxation issues and is regularly called upon to offer thought leadership commentaries on tax issues. Mr. Aleksander is listed as a ‘Leading Lawyer’ in the 2015 edition of IFLR 1000 and has also previously been nominated by Lawyer Monthly Magazine in the ‘Leading Lawyer 100 listing’, in the category of Tax Law. Mr. Aleksander also sits as a part-time judge in the tax tribunals adjudicating on disputes between taxpayers and HMRC. He is a Deputy Judge of the Upper Tribunal and a Judge of the First-tier Tribunal. Client Alert - April 11, 2019 | Brexit – what happened?